Hi guys! 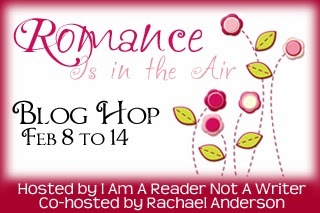 I’m so excited to be a part of the Romance is in the Air blog hop again. It’s one of my favorites, because who doesn’t love romance? Now for the fun part…the prize(s)! Because I’m all about the love, I’ll have TWO winners and will be giving away two copies of any of the ebooks in my Perfect Kisses series. Feel free to check out the MY BOOKS tab to see which one strikes your fancy. To enter, all you gotta do is either follow me on Twitter, tweet about my giveaway and/or follow me on Facebook. Easy, right? Wow, what a big blog hop! I'll have to check out a few. Thanks!